You and your client have worked together on a few projects. You know what she likes and what she doesn’t. You’re familiar with how her online business works and you seem to have found a rhythm that lets you both work together. The only problem is you’re starting to have doubts. Maybe she doesn’t pay you on time. Maybe she belittles your work or makes passive aggressive digs about how much you charge. 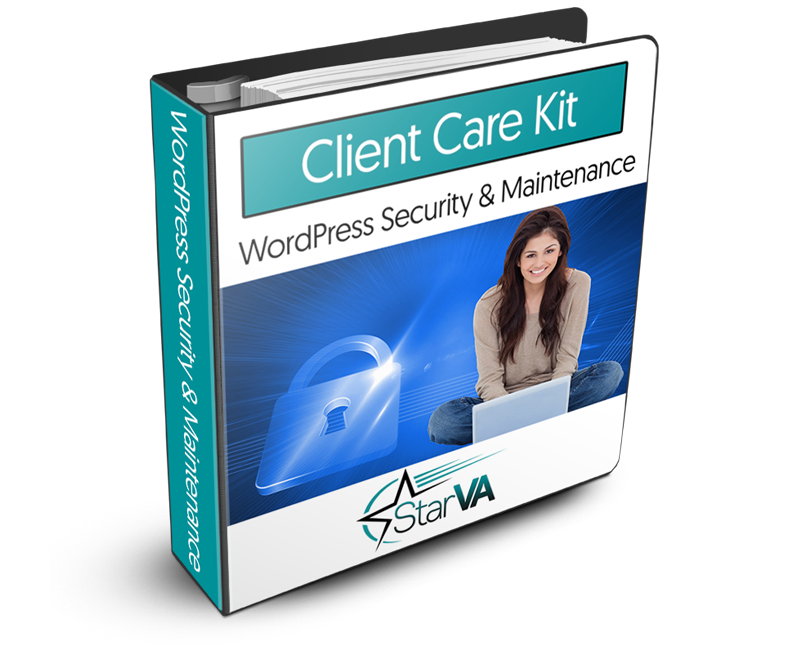 You don’t want to throw away a client but you can’t shake the feeling something’s wrong. 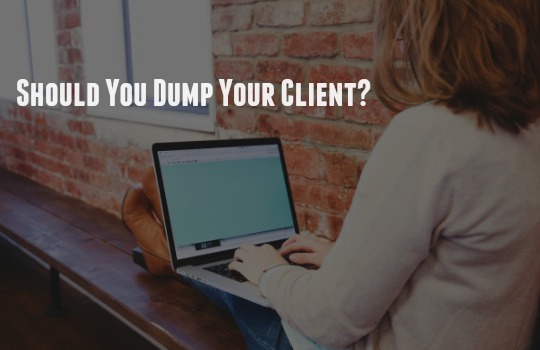 Now, you’re left wondering if you should dump your client. You don’t know what to do. Do you keep her or break up with her? She argues over the price of every project. She constantly changes the scope of your work. She’s unprofessional or disrespectful toward you. She contacts you when you’re off the clock. She belittles or is nitpicky the work you do for her. She treats you like a child needing supervision (not the competent professional you are). If you recognize one of your clients after reading the list above, then you need to ask yourself three tough questions. These questions can help you determine if your business relationship can be salvaged. Are You Willing to Confront Your Client? Relationships cannot thrive without honesty. If you want to change something about your professional relationship, then you’ll have to confront your client. If you don’t, everything will stay the same as it is. But don’t assume the worst when planning a confrontation. Some clients aren’t trying to be terrible clients. A client that keeps calling after hours may not realize you have set business hours (you told her that at the start of your relationship, right?). A client that belittles your work may think she’s offering constructive feedback (gently educating her may be all that’s required). Is Your Client Willing to Change? A client may want to change but not know how. You can handle this by sharing one or two solutions. For example, if you’ve confronted a client that doesn’t pay you on time, explain you’d like to be paid on the same day each month to prevent further problems. Offer the client that argues about pricing a custom retainer package so she knows how much she needs to budget each month. Some clients will hear you during the confrontation and make a big effort to change. This behavior shows your client really does appreciate the work you do. If all you wanted was them to make an effort to change, then this might be enough for you to continue the relationship. Some clients won’t own up to their bad behavior and they may even refuse to apologize. They may even go so far as to demand that you’re the one that needs to apologize. If this happens, then you may decide to dump her for good. You can read 6 Tips for Breaking Up with a Bad Client for advice on how to do this. If you’re really struggling with what to do, take the time to think about how you would feel if you no longer had that client. Does it make you smile and feel relief? If so, then go with your gut and dump them. There are plenty of client’s out there waiting. Need help dealing with a difficult client? Ask for advice in the private Star VA group on Facebook (we love new members! ).